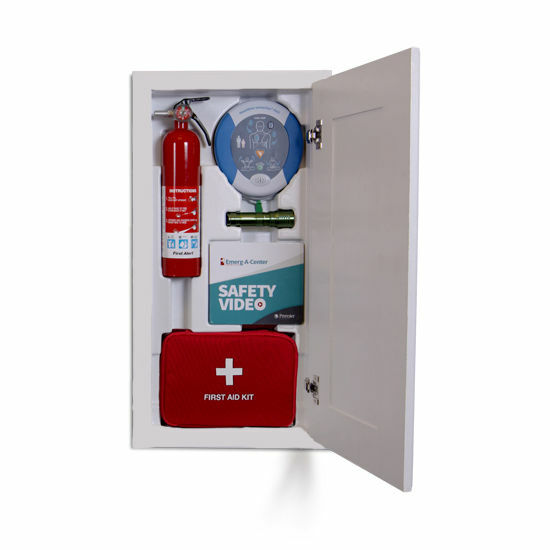 Automated External Defibrillators or AED are ideal for treating sudden cardiac arrest patients until medical professionals arrive. 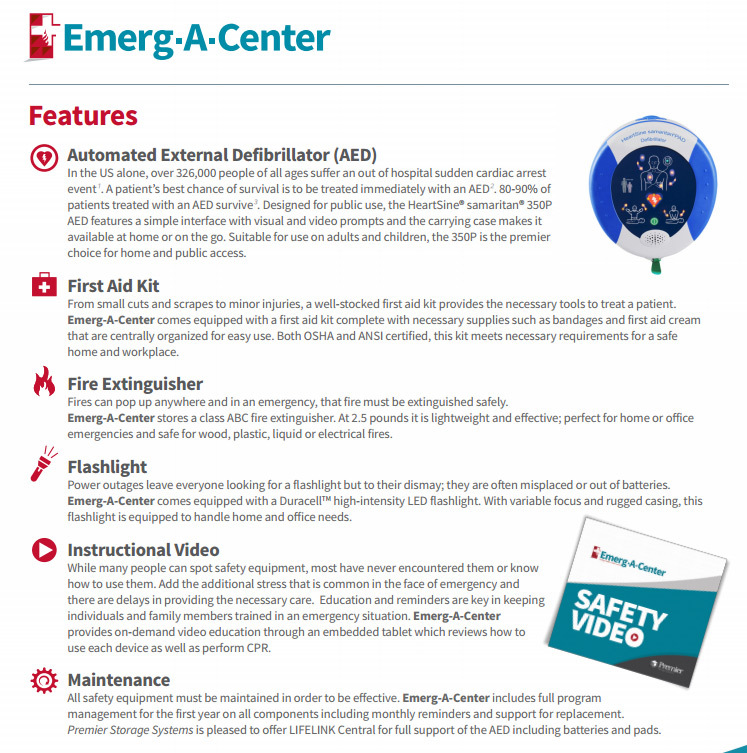 Each Emerg-A-Center stores a HeartSine Samaritan 350P AED with video and visual prompts and convenient carrying case for home or on-the-go use. Applicable for use on both adults and children, the 350P is the ideal choice for home and public access. 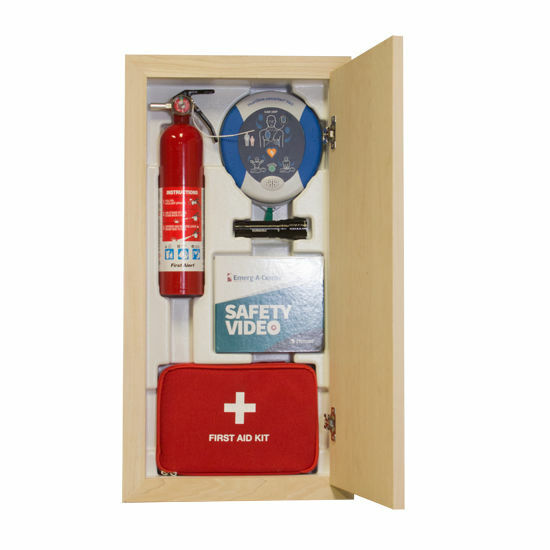 The Emerg-A-Center first aid kit comes complete with bandages and first aid cream to treat small cuts and scraps due to minor injuries. 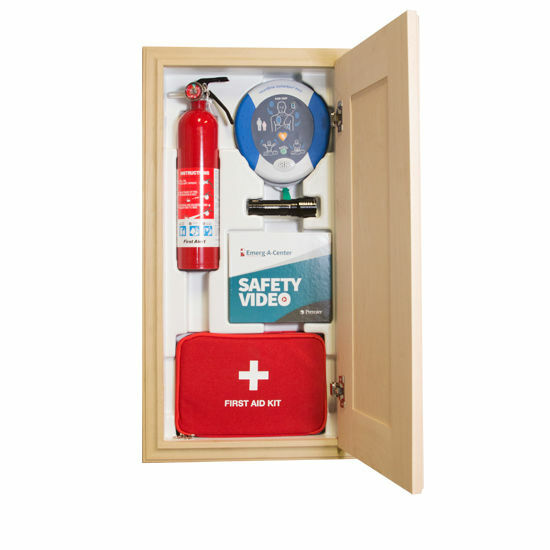 Coming face-to-face with a fire can be extremely frightening luckily, the Emerg-A-Center stores an easy to use class ABC fire extinguisher. 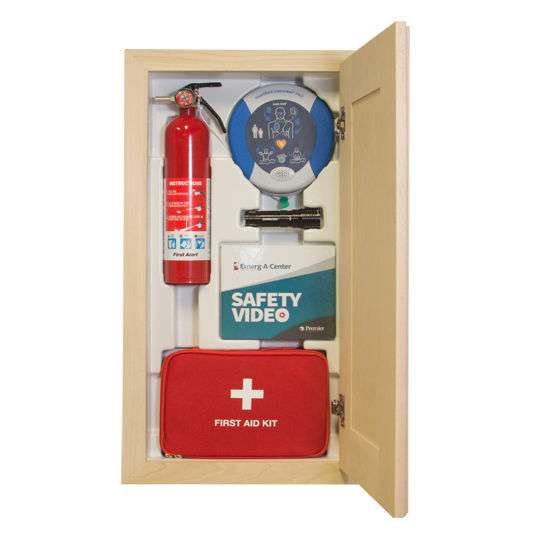 Weighing only 2.5 pounds, it is lightweight, effective, and suitable for wood, plastic, liquid, or electrical fires. In the event of a power outage, it seems as though everyone is scrambling for a flashlight only to find out that it is either misplaced or without working batteries. 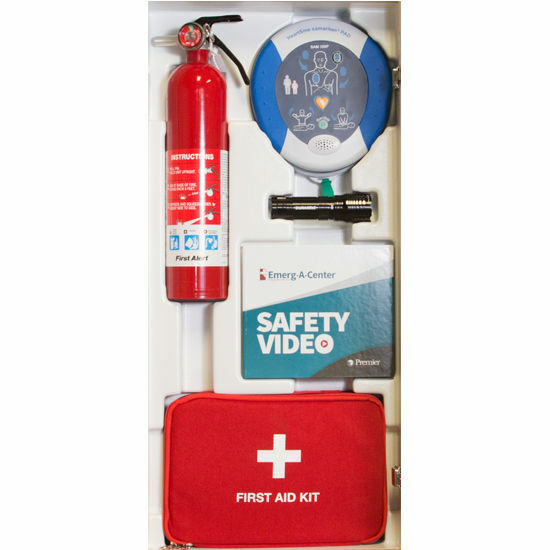 The Emerg-A-Center features a Duracell� high-intensity LED flashlight equipped with variable focus and rugged casing. 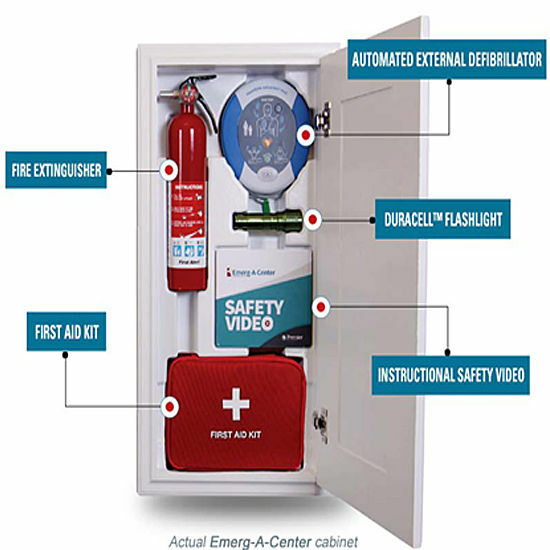 And lastly, the Emerg-A-Center provides on-demand instructional video through an embedded tablet with videos demonstrating the proper use of the Automated External Defibrillator (AED) and fire extinguisher, how to perform CPR and the Heimlich maneuver, and how to administer an EPI-PEN�. 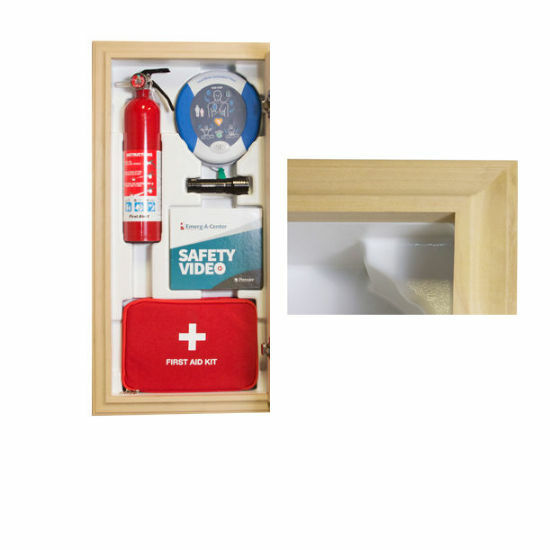 Safely conceal this cabinet in kitchens, offices, garages, or laundry rooms. 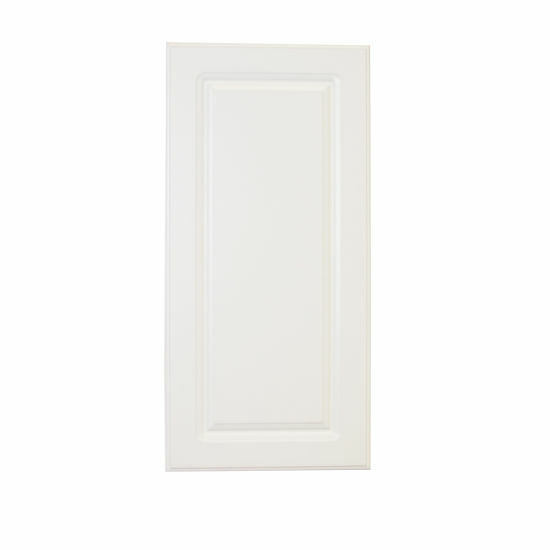 Make your unit customizable by choosing a drawer or surface mounted unit with block or decorative trim, and raise panel or flat doors. 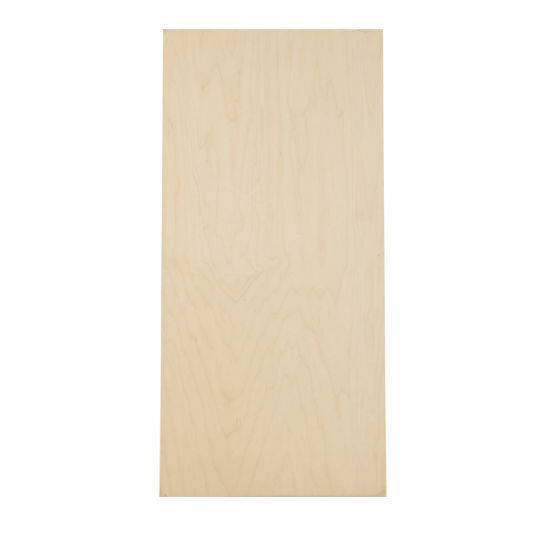 Drawer insert cabinets come with no trimming or door and lay flat as a plastic insert with components facing up when draw is pulled out from cabinet.All maple constructed cabinets are unfinished and can be stained or painted to match d�cor. 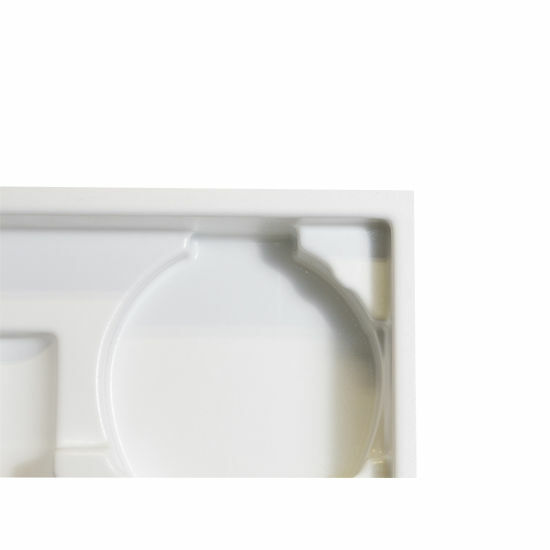 Units can be recessed into any wall with standard 16� center studs (extends 1-1/2� into the room) or surfaced mounted (extends 6" into the room). 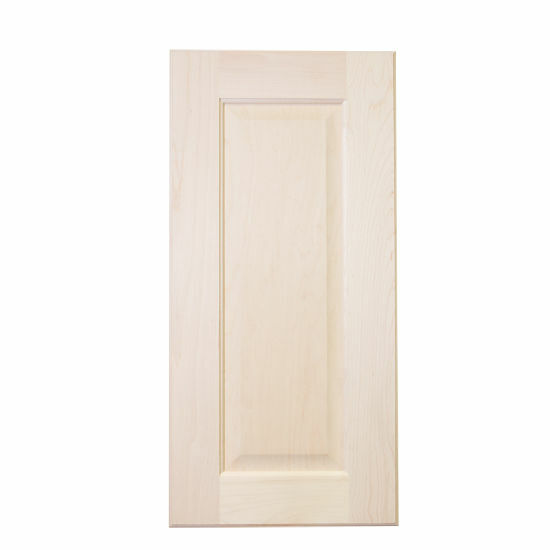 However, it is recommended to attach a 2� x 4� horizontal wooden cleat to studs, level with the bottom of opening for support when installing as recessed mount. 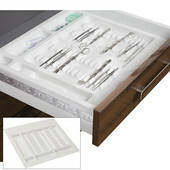 Surface mount frames must be purchased seperately for desired surface mounted cabinets. 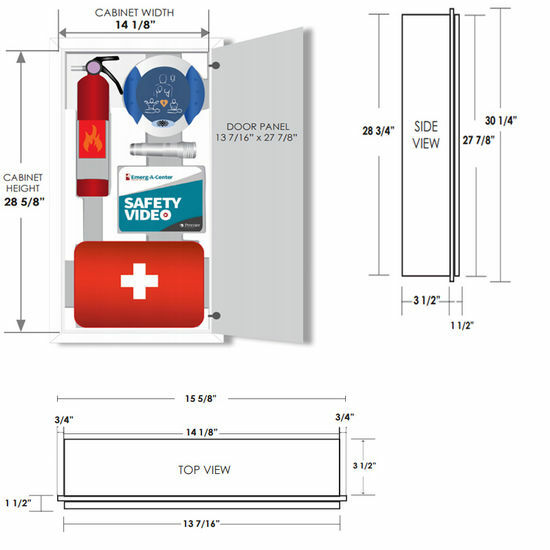 Wall mounted hardware included for all wall mounting cabinet units. 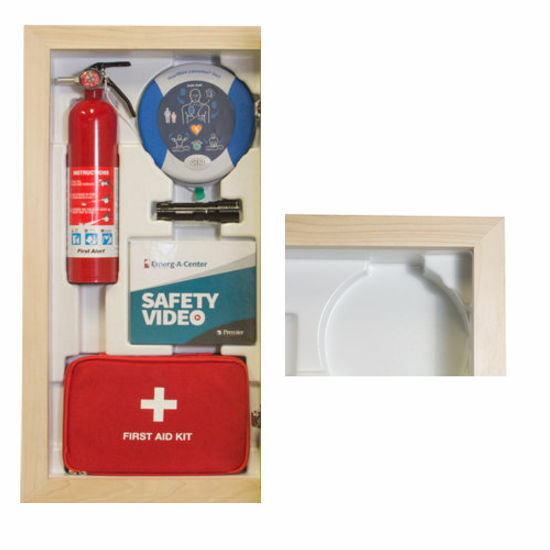 Order yours today and become equipped with the latest in safety technology!